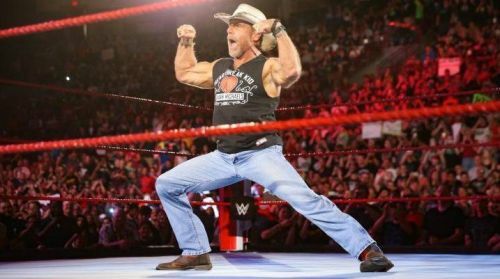 Thanks to the Chokeslam through the announcing table by the Undertaker, Shawn Michaels has now decided to lace up his boots again. At Crown Jewel, he will fight along with his best friend, Triple H, to take on the team of the Undertaker and Kane, better known as the “Brothers of Destruction”. Notably, the Hall of Famer was forced to retire by the Undertaker after he suffered defeat in their Streak vs. Career match at WrestleMania 26. Ironically, it is the “Deadman” himself, who has forced him to come out of retirement. Given that Mr WrestleMania will be on the active roster again, the fans would love to see him compete further than just the upcoming match in Riyadh. He has been retired for nearly eight and a half years, and there are a couple of one-on-one matches which the WWE Universe would be thrilled to see. Here are the top five matches of that list. This would a battle of identities. In the last couple of years, Dolph Ziggler has been carrying his own character as Shawn Michaels’. The way he talks, the way he walks, not to mention the Super Kick, are all the pages from the legend’s playbook. It will be poetic justice to have him compete against the man who was the original one in doing all these things. Further, the match can be promoted based on the sheer fact that the “Showstopper” takes an exception to the “Show-Off” in the way he has portrayed him for years. Although Dolph Ziggler and HBK both have their hands full as of now in separate storylines, this match could definitely be penned down in a couple of months time. Considering the pace at which the things are going as of late, Royal Rumble seems like the perfect time for these two men have a go at each other.